CHICAGO (WLS) -- Chicago's peregrine falcon population appears to be getting a boost. 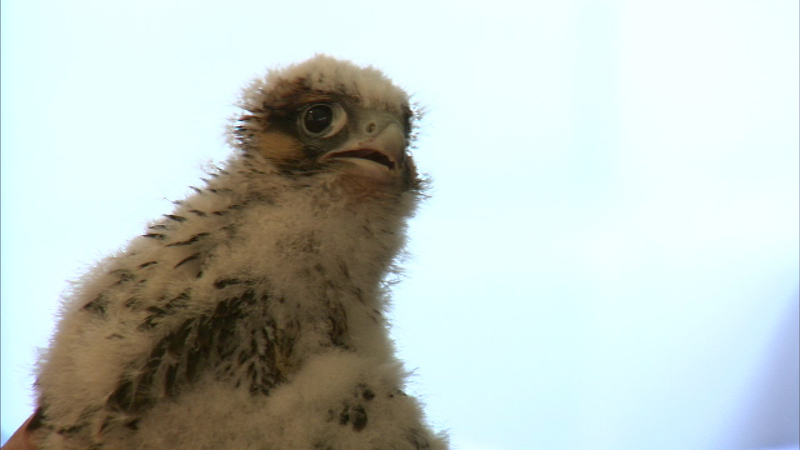 Researchers with the Chicago Field Museum say there are 20 confirmed falcon breeding pairs in the area, and some chicks are hatching. They've even been spotted on two of the city's water intake islands out in Lake Michigan. Peregrines usually nest along high cliffs, or, in the city, high atop buildings.